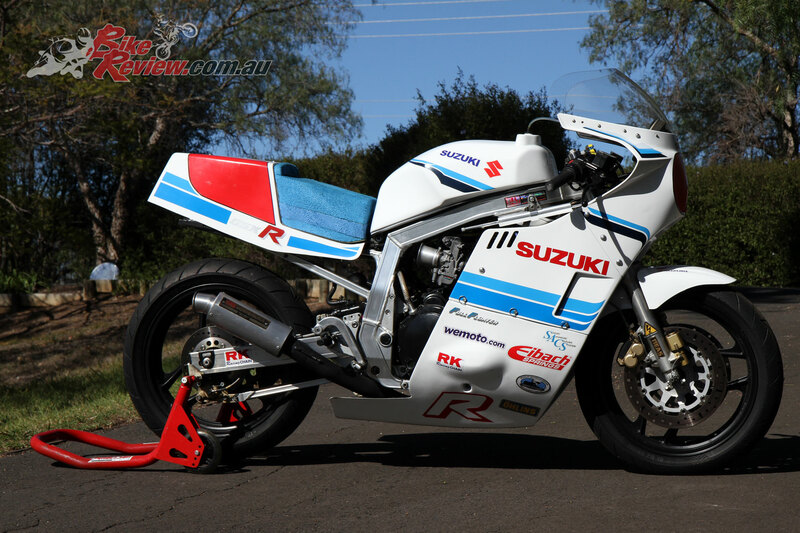 I’ve always had a fascination for classic motorcycles and in particular, classic racing, and while I’m 60 now, go back 40 years and the best bike of the time was the Kawasaki Z1000 and it was winning races around the world and was raced in the Castrol 6 Hour at Amaroo Park. 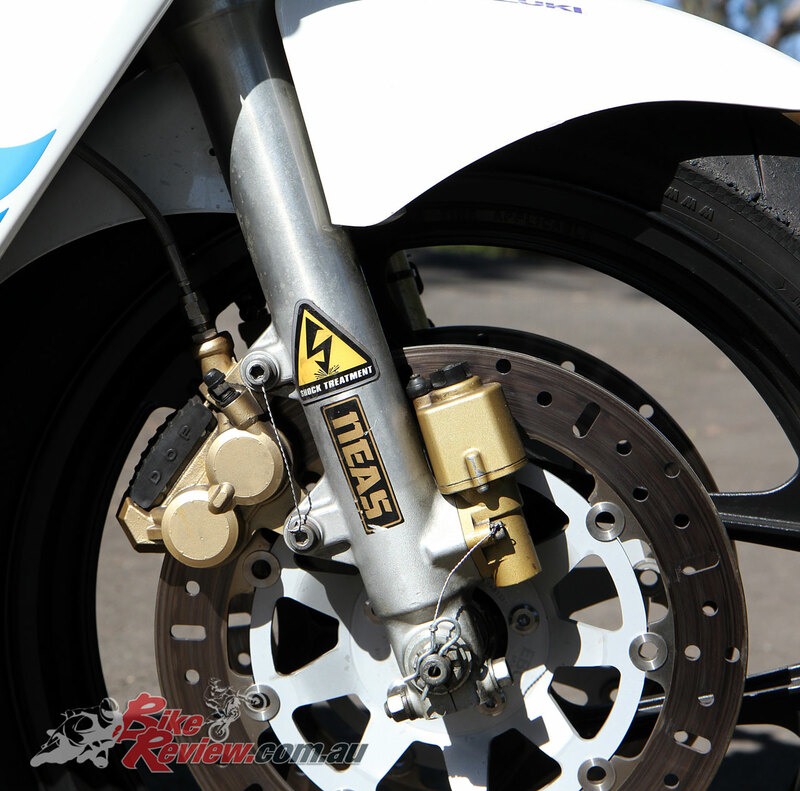 Racers Edge made the fairings for Paul using 750 molds they still had. 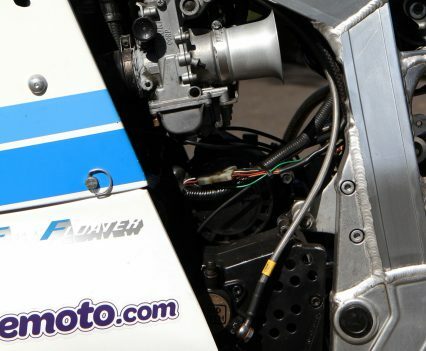 The Z1000 was the most cutting edge superbike of the day, while Suzuki had the GS1000 and Honda had the CB900 and it was a time when bikes were simpler and the racers brave. 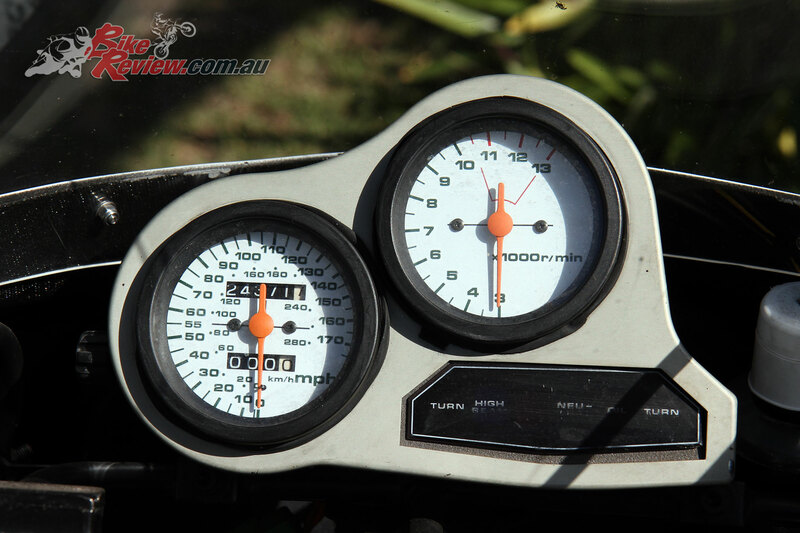 They rode bikes that had little horse power, 110 section rear tyres and weighed well over 240kg! The racing was serious and fast, the competition was intense and the victories were sweet, I went to many of the Castrol 6 Hours at both Amaroo and then Oran Park. There were massive crowds every year and everyone was on a motorcycle, they were the great days of motorcycling back then. 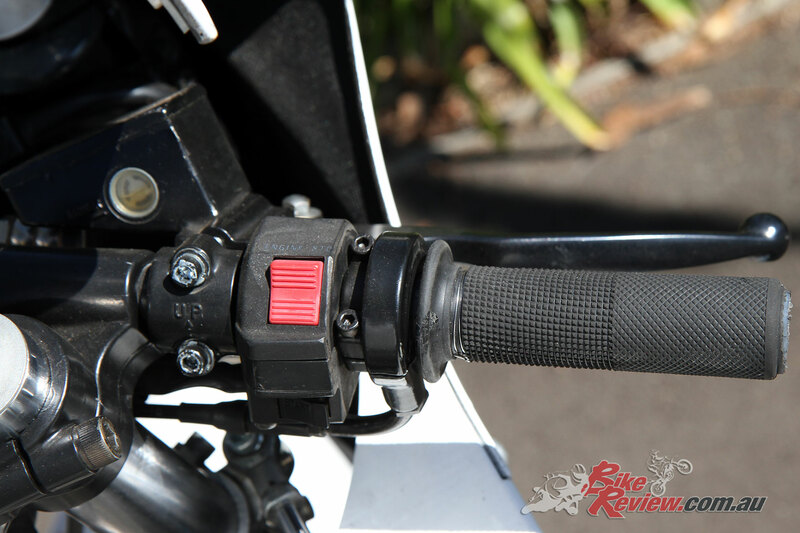 The super high seat padding helps Paul with his knees and gives the bike a more modern race seating position. 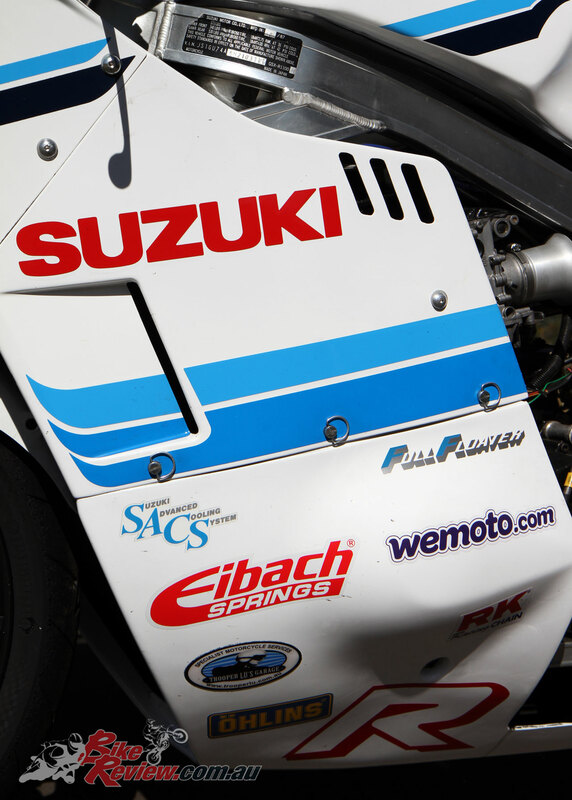 I’ve done my share of racing, motocross on Suzukis, TMs, RMs and had a lot of fun. 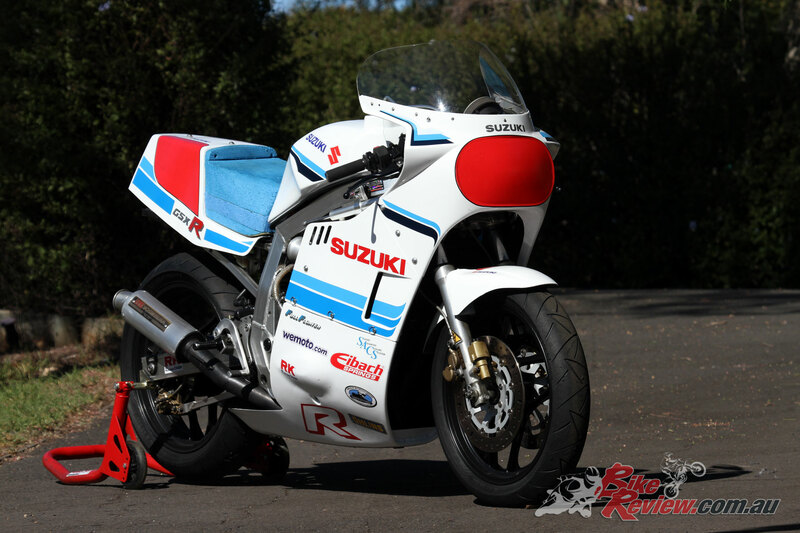 I had several Suzuki road bikes from GS1000s to GSX-R1100s and as you can probably start to see I had a soft spot for Suzuki motorcycles. As life moved on I had a working career and family with all the usual trimmings, kids, mortgage, work and so on. I did follow motorcycle racing and always watched the racing with a passion, but I longed for the old days of the early GSX-Rs, they were my favourite bikes. 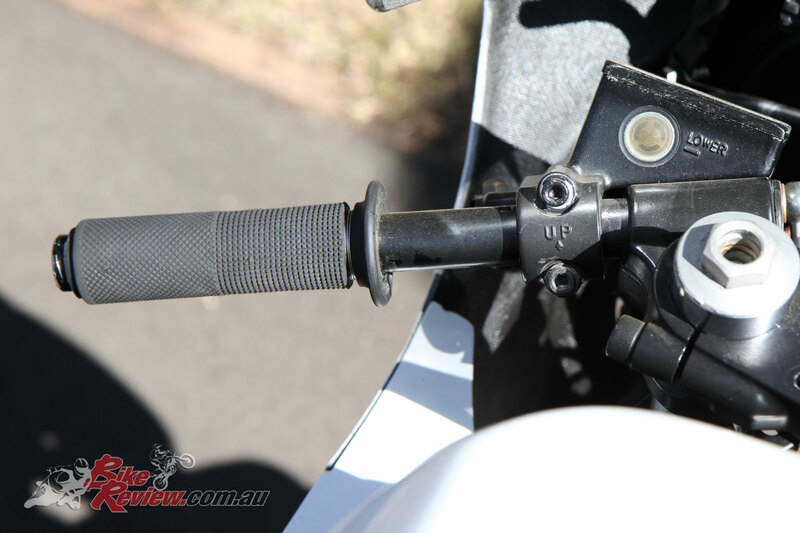 Swingarm angle is crucial on these old GSX-Rs as they were originally very flat. 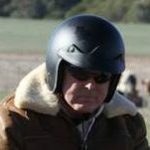 I did do some classic racing in the late ’80s through to 2006 in the Pre-War class of the classic road racing in Australia and competed in every State. I did OK too, winning my fair share of races and titles around the country. The bike was a 1200cc side-valve Harley, I still own the bike today. 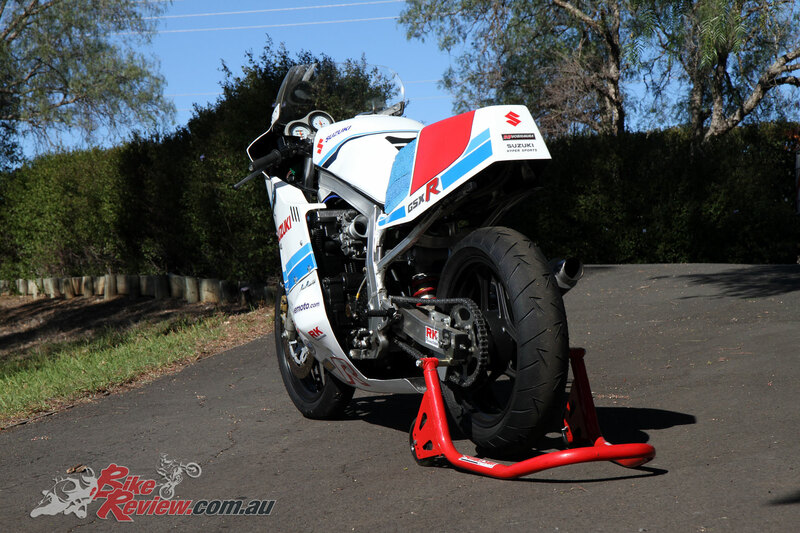 I moved on to Formula Extreme racing Buells, then went to BEARS racing riding an MV Agusta and then a BMW S 1000 RR. All great bikes and all great fun. My last race on the BMW was February 2013, and in April 2013 I was diagnosed with an aggressive form of Leukaemia. Racing stopped while I had the battle of my life. Eight months later I was in remission and doing OK, however it took three more years before I really felt well. 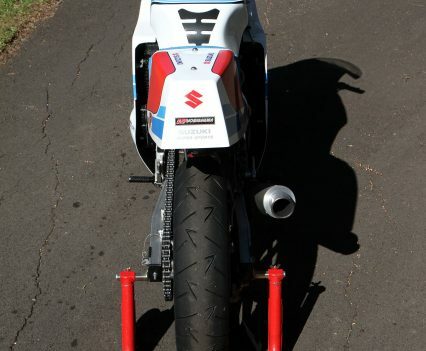 The tail unit is shaped for that F1 look of the era and really sets the bike off. 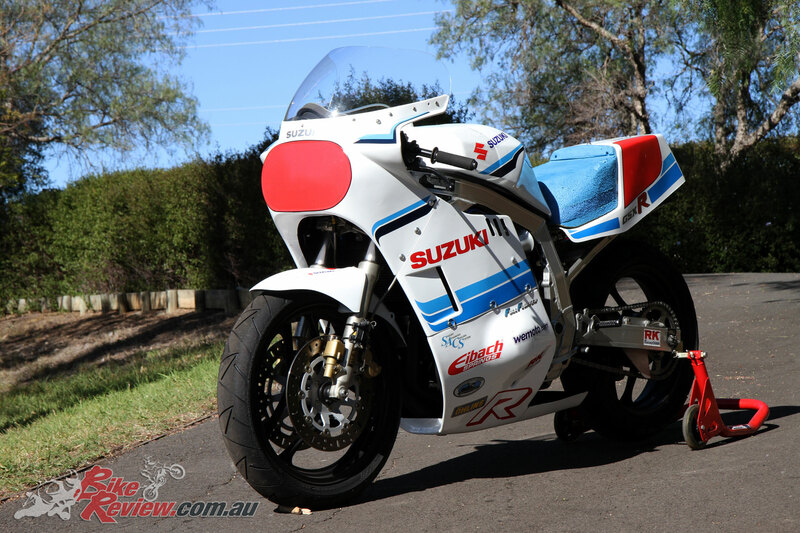 So in 2016 I started looking for a 1987 Suzuki GSX-R1100, I had owned one of these when they were new and always wanted to get another one. This time through I was going to build it up for classic racing. 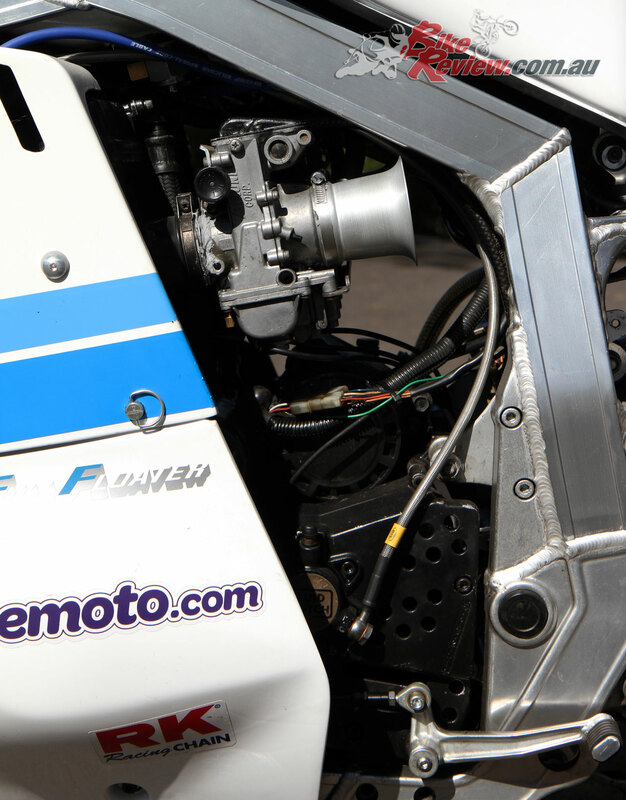 Can you believe it, the bikes I watched 30 years ago as superbikes of the era are now considered classic race bikes! You only have to wait 30 years and things become valuable again. 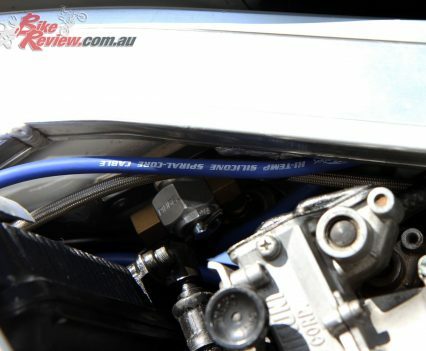 I do mean valuable too, I was looking at old worn out GSX-Rs that were going for more money than they were new! 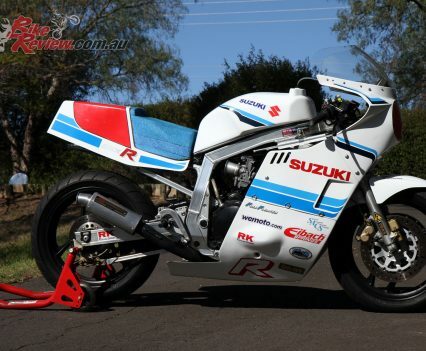 As luck would have it, I saw an ad online for a real nice 1987 GSX-R1100 that was for sale in Queensland. I gave the guy a call but I had missed out on the bike by a day. I must have sounded disappointed, as the seller mentioned that he had a couple more but they weren’t in as good condition. 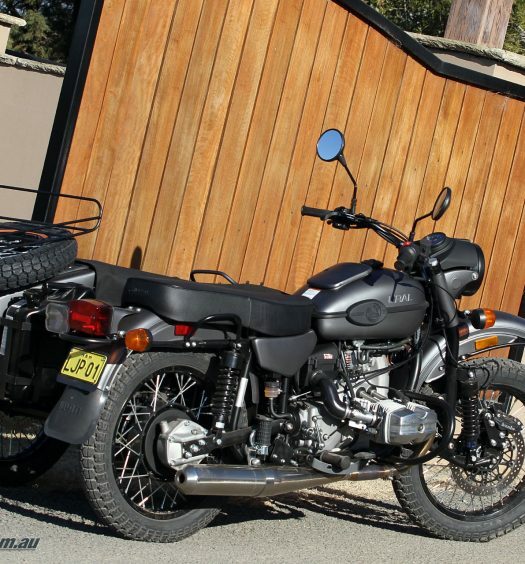 He sent me some pics and info on the history of the other bikes. One sounded interesting, having come from the U.S. and had been built up for street drags some 10 years earlier, when the owner had some sort of mishap, scared himself and parked the bike, eventually selling it to this owner. 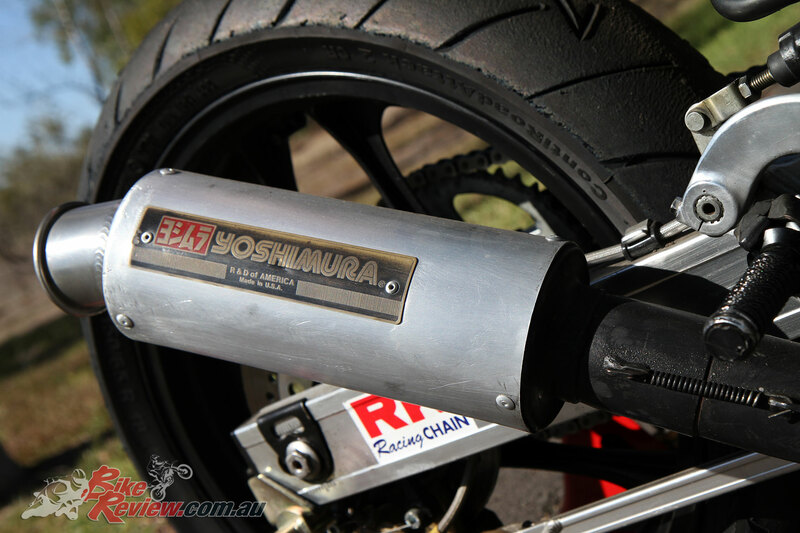 Looking at the pics of the bike it was rough to look at, but it did have a set of 40mm Mikuni flatslide carbs and a Yoshimura full exhaust system. Those two items alone were equal to the cost of the bike, so I took a gamble and bought it. A week later it was at my place, looking even sadder in the flesh, in a very well weathered condition and with lots of wear and tear. 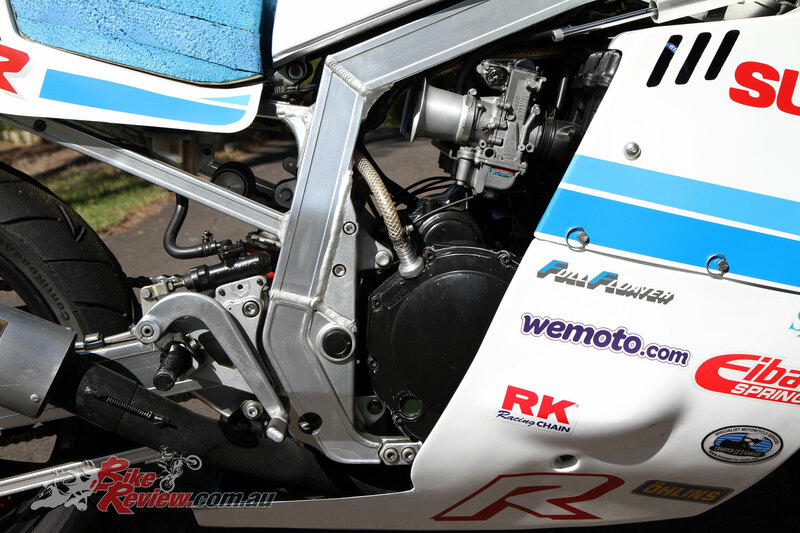 The first step was to strip the bike down to the engine in the frame, with everything else off for evaluation. I had a big happy birthday surprise that day! 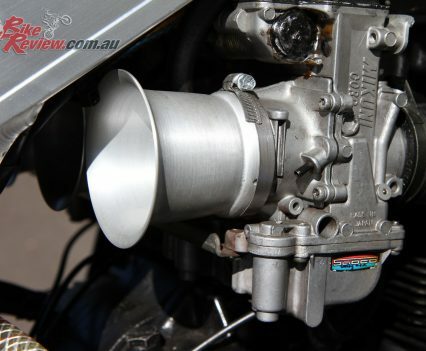 Pulling the Mikunis off revealed a ported and flowed head, you ripper! I then took the rocker cover off. To my delight the internals were like new! No old oil stained parts, everything was in a pristine condition. 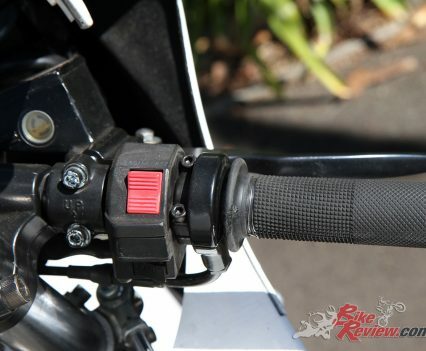 The cams were stamped with letters and numbers, a quick check revealing they were road racing cams from one of the leading cam companies in the U.S. I was getting very excited by now. 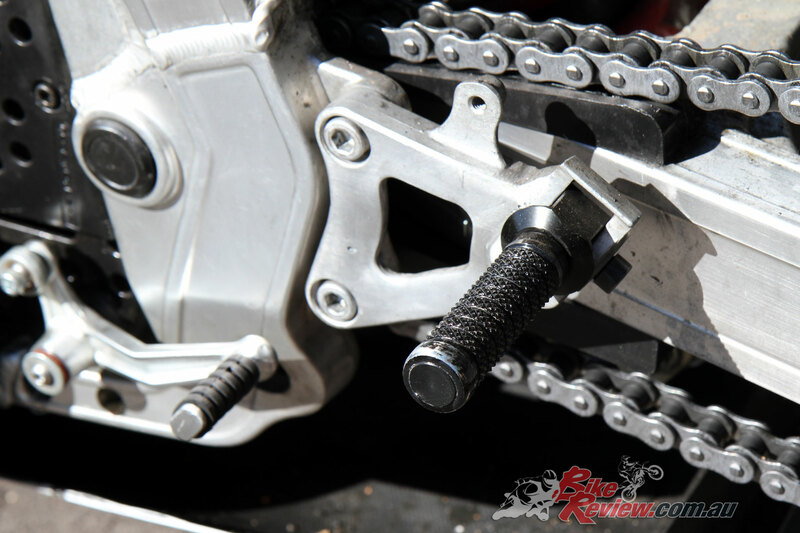 Inspection of the clutch and ignition revealed a competition clutch from A.P.E. 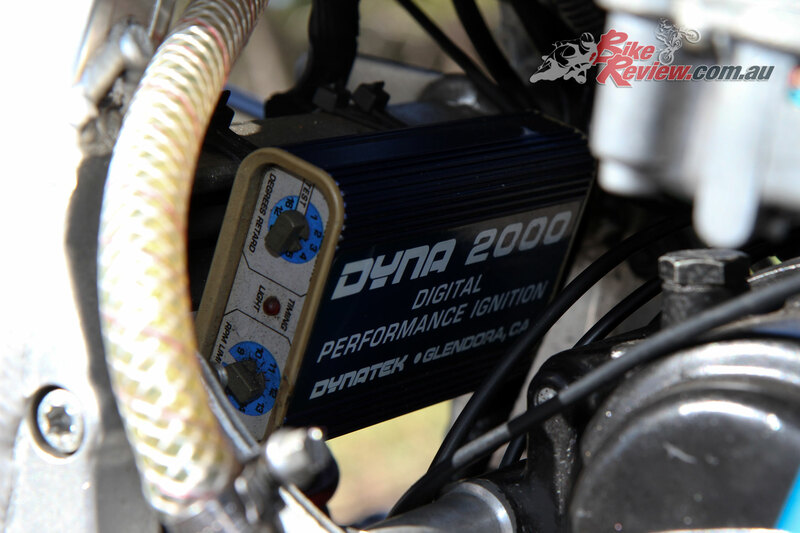 and a Dyna 2000 ignition as well. 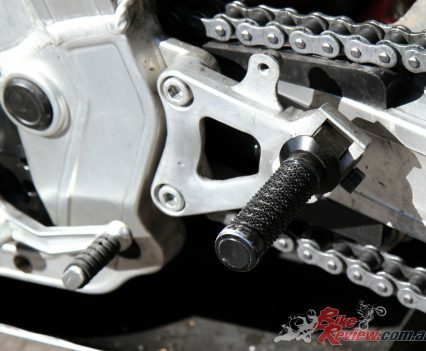 I could even see the connecting rods and they were race spec items as well! 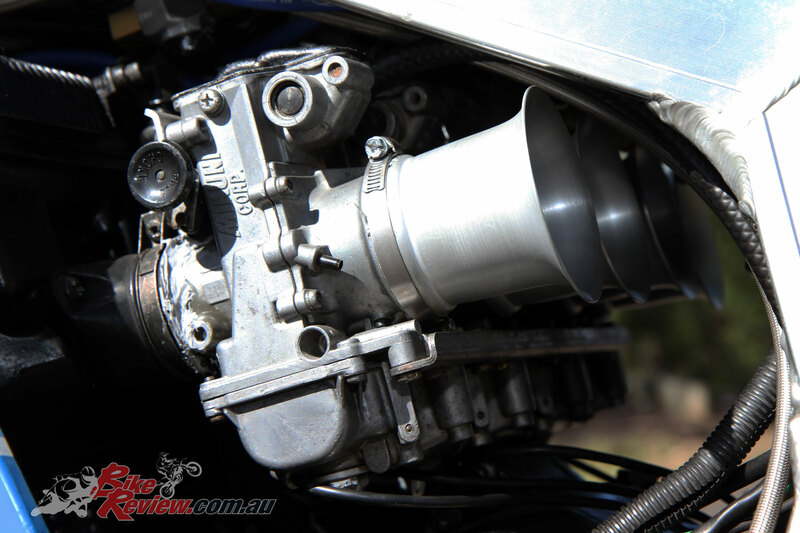 After fresh oil and filters, the carbies cleaned and refitted, the bike started up straight away and it was very evident that this thing had a serious motor in it, it sounded strong and powerful. Satisfied with the engine I turned to the chassis, which was also in good shape, just needing some cleaning, rewiring and so on. 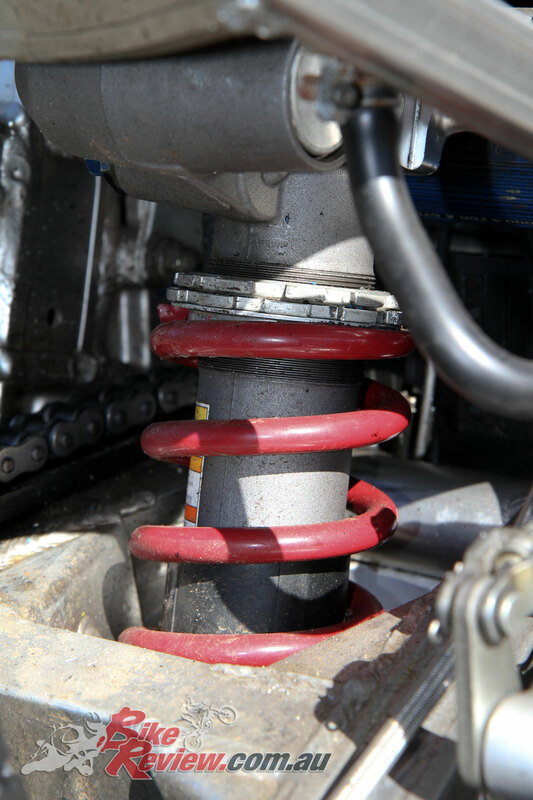 The forks and shock on the other hand needed a lot of attention. 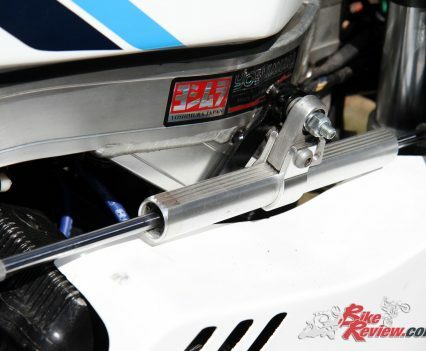 The forks went to Shock Treatment, I know Terry Hay the owner well and he had full knowledge of these early GSX-R’s and what to do to the forks to get them ready for racing. 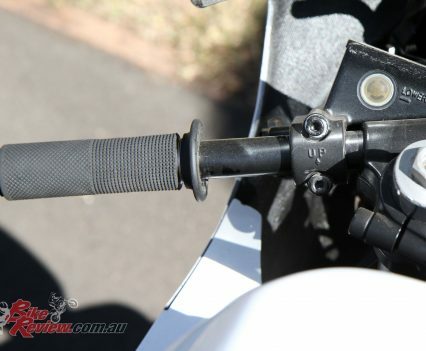 The rear shock was also replaced with a later GSX-R shock that offered more in damping settings and allowed for improved swingarm angle over the stock shock, a must with these early models as the swingarm angle is way too flat for racing. 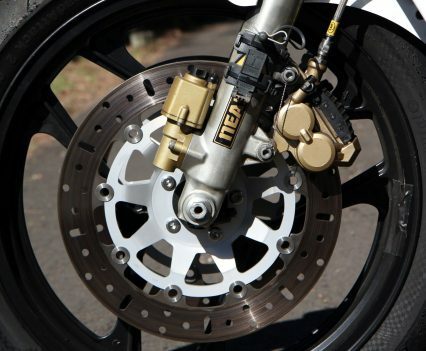 All bearings were replaced, while new brake rotors were sourced through Wemoto.com.au, a UK company that has a dealer at Nowra, The owner is extremely helpful and parts are priced well and quick to arrive. 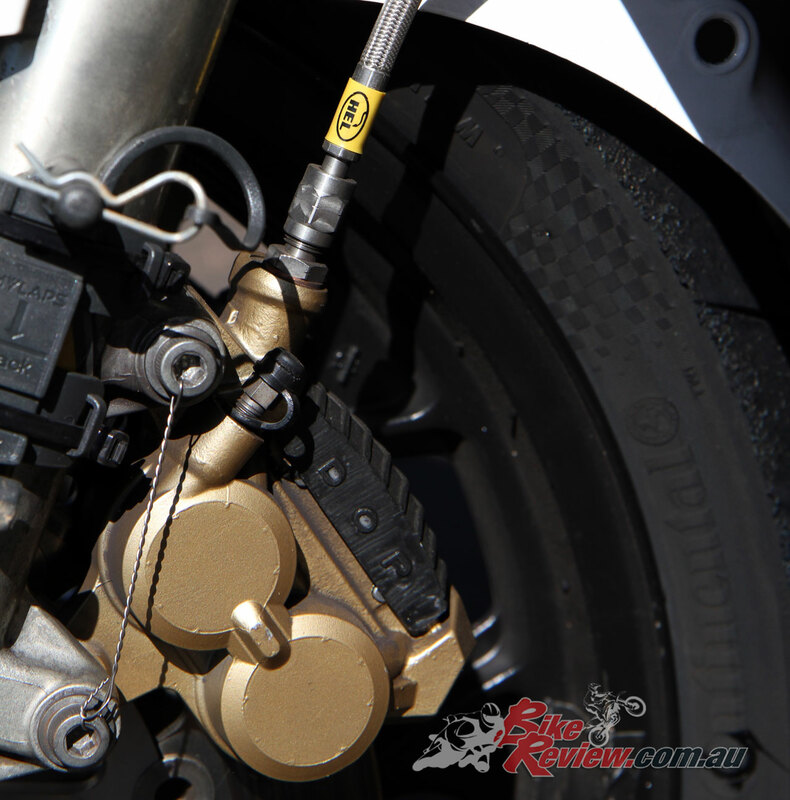 Brakes were also completely rebuilt with all EBC parts through Wemoto.com.au. 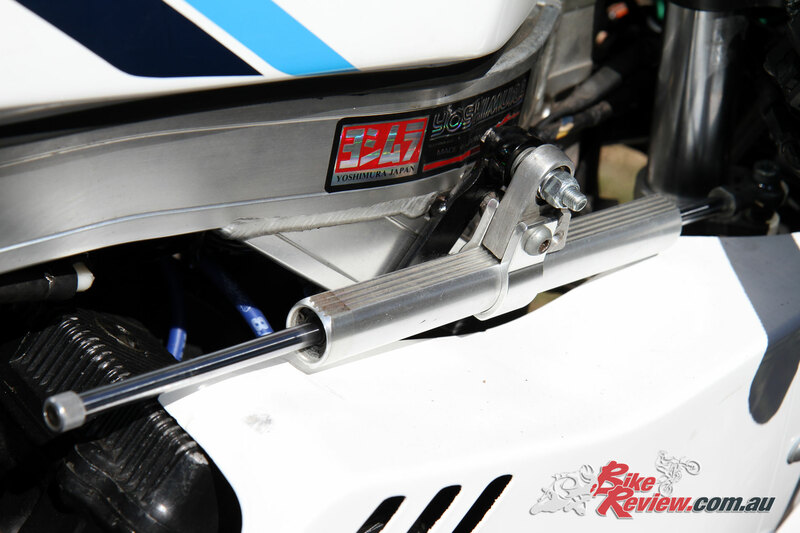 The forks were rebuilt and set-up to suit racing. 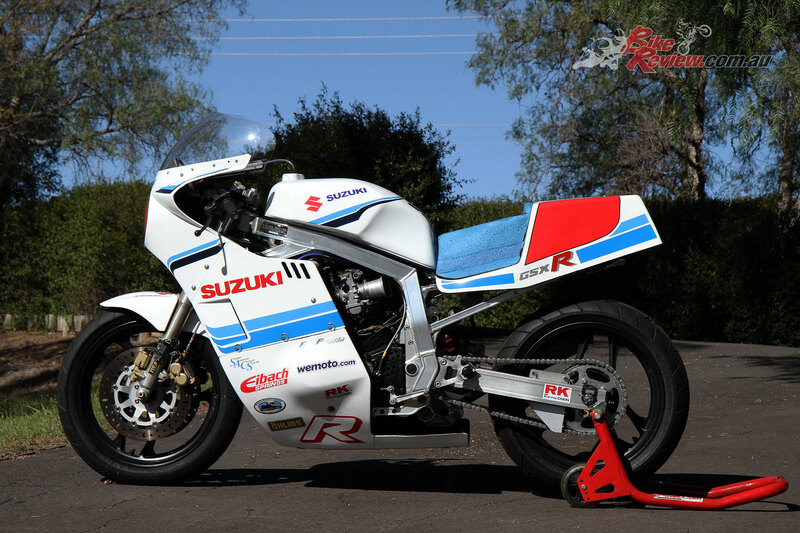 Bodywork was a challenge, at first I couldn’t find anyone that supplied race glass for the early GSX-Rs, it was looking like I would have to get pieces from overseas and that it would be a compilation of parts not really representing the ’87 GSX-R1100. 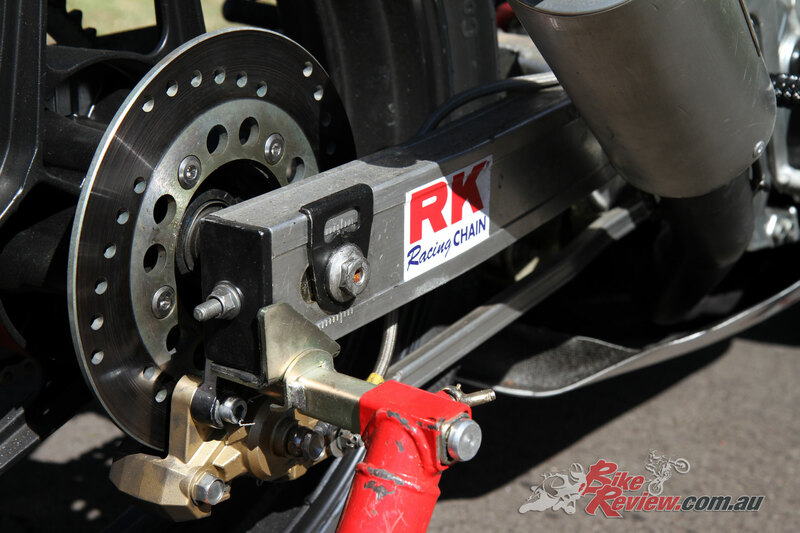 However, Racers Edge at Windsor was able to come up with some original moulds of the GSX-R from when the 750s were raced back in the mid ’80s! They were close enough to have the bike looking right. I also wanted to stick to the stock 18in wheels that the bike ran, which meant finding tyres to suit, and after many days looking and searching I decided on the Continental Road Attack II classic Race tyre. 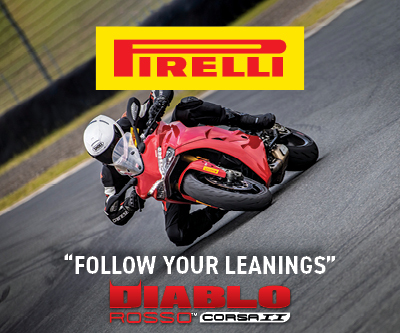 These are used in the European classic racing series and have turned out to be a great tyre that offers slick grip but also doesn’t stress the frame of the bike by over tyring it and turning the frame into a pretzel. The body work was also modified in the tail section to more closely represent the F1 racers of the period and was painted white for simplicity. 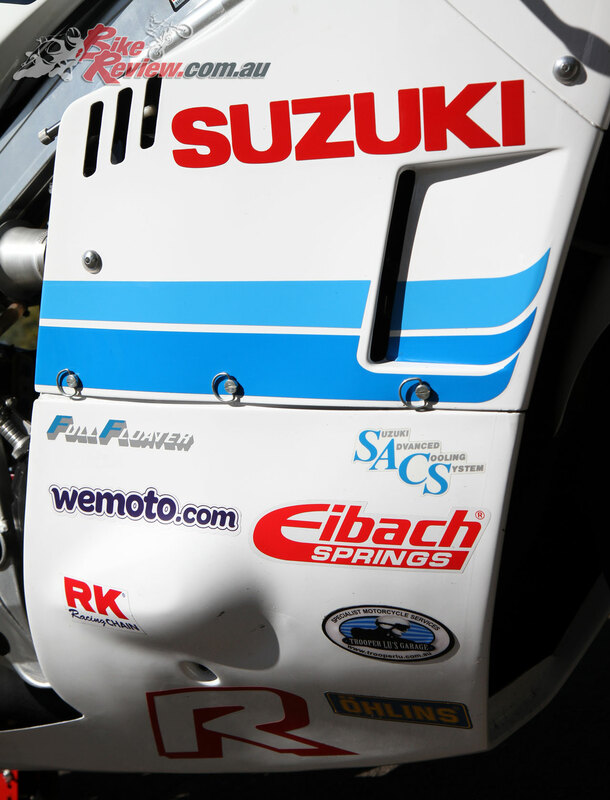 I added a graphics kit and other stickers to get it to where it is in these photos. The seat is high but I need that for my bad knee, and it is actually made of yoga matting. 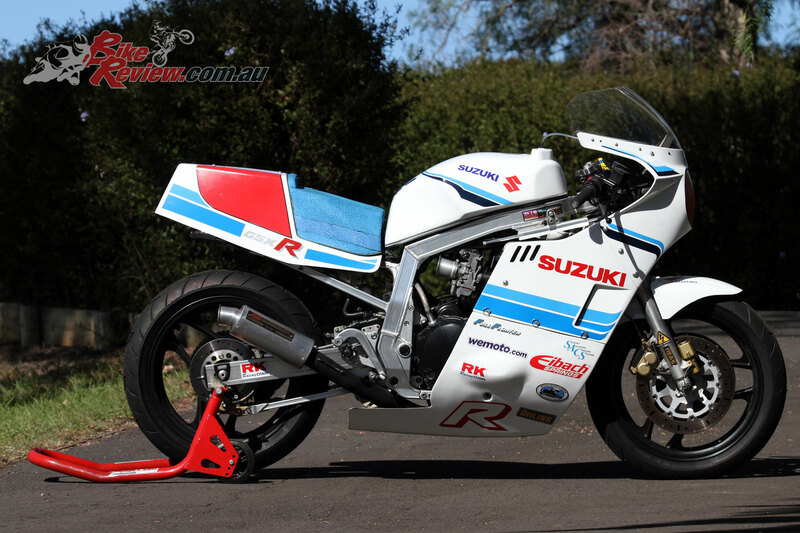 The classic white and blue looks fantastic on the GSX-R1100. 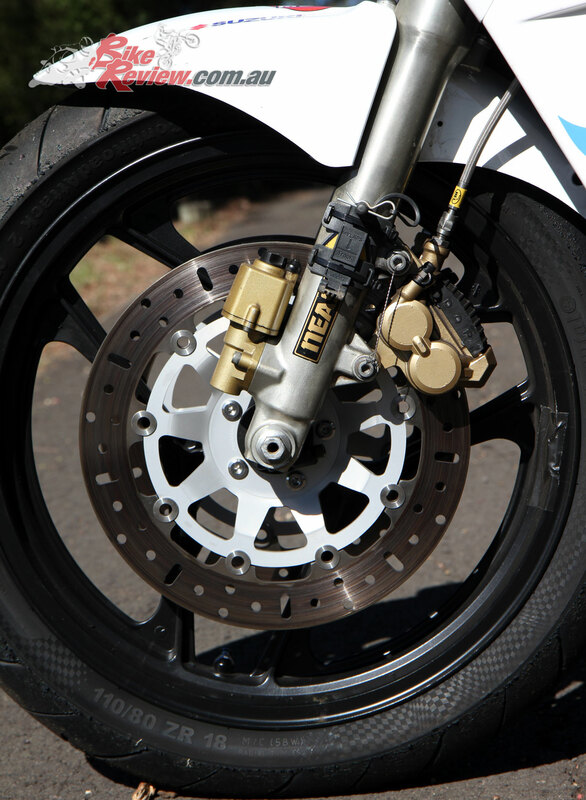 It took about five months to get all the parts, bodywork, wheels, tyres and spares together and have the bike completed. 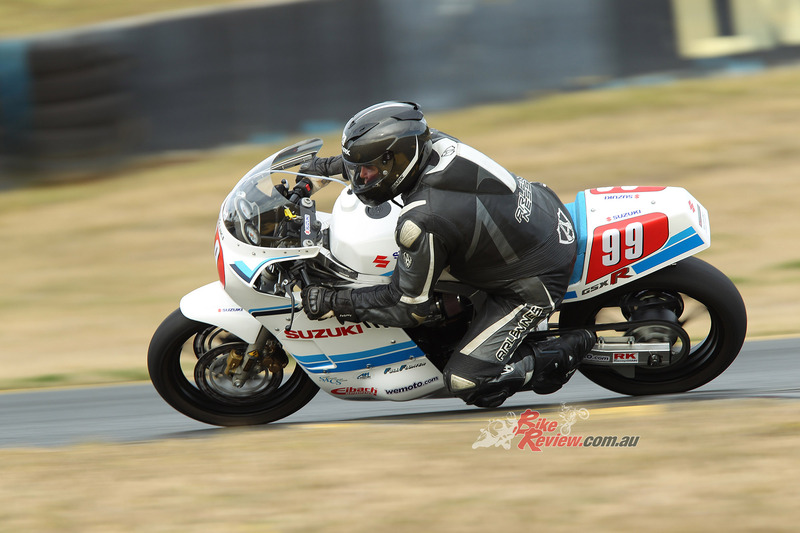 I had a month to get the bike sorted before the Island Classic at Phillip Island in January 2017. All was looking good, with a couple of short test rides near home proving positive. 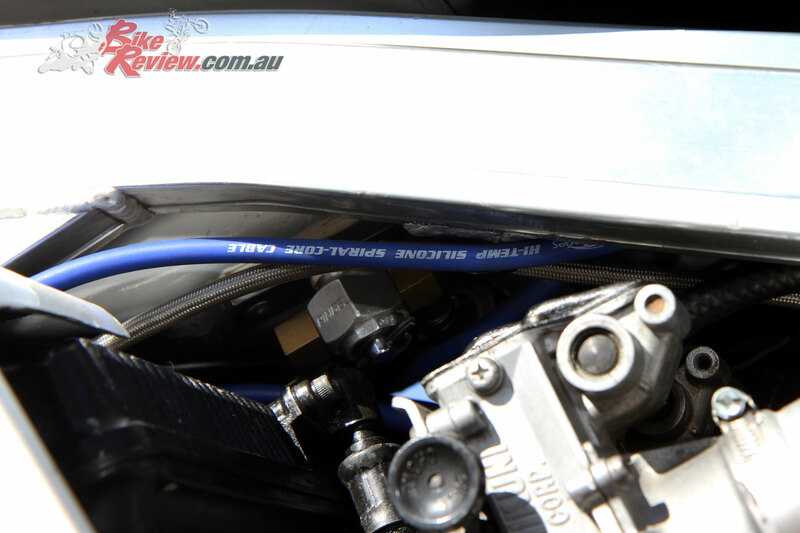 A track day was booked at Eastern Creek and the bike lasted two sessions before popping a head gasket, with the right front corner leaking badly. Disappointing so close to January. I wanted to make sure that the problem was fixed properly and also that I could be certain that everything around that head and cylinder block were OK. 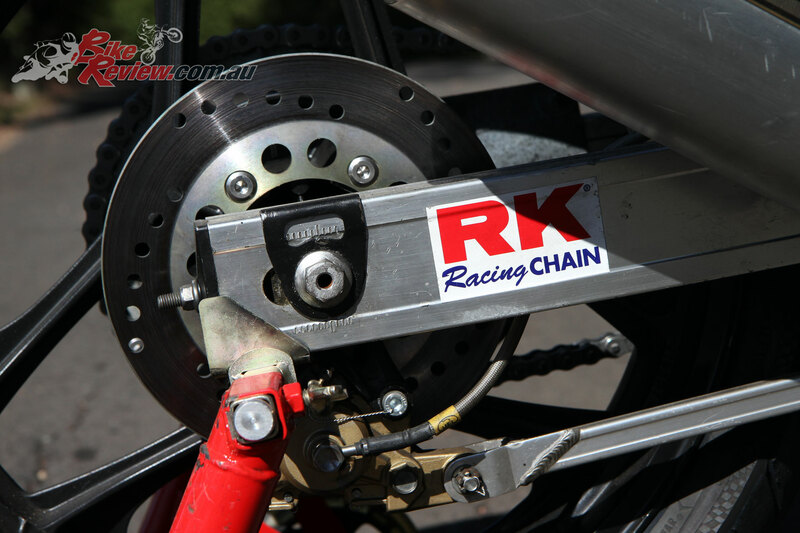 I spoke with Darren Treloar at Granville, he is a multiple world and Australian speedway sidecar racer that is very up to date with Suzuki engines. He agreed to help me pull the engine down at his shop, a day was set and we got to work. 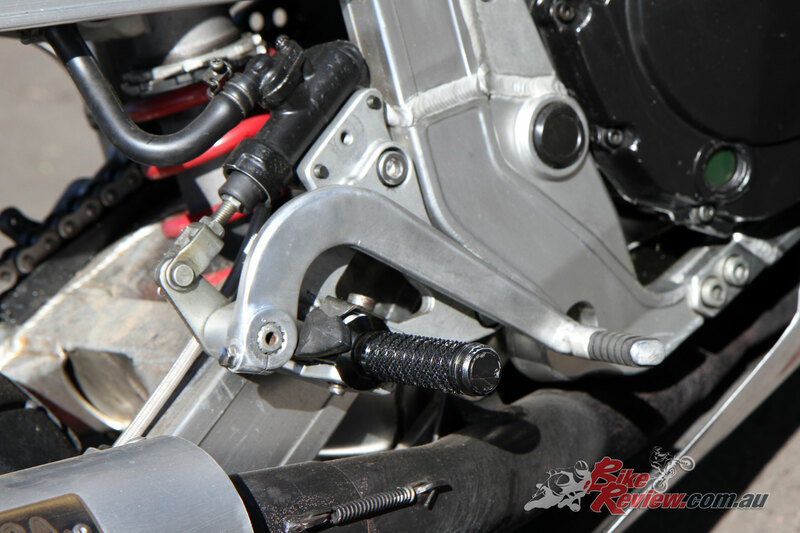 Once the head was removed it was discovered that one of the cylinder studs had stripped the engine case on the front right corner – the reason being that it was the wrong length stud to start with. The engine has two different length studs and two had been misplaced during the build 10 years ago. A new longer stud was made and fitted, problem solved. With new gaskets a true check of the compression ratio was obtained at a healthy 13.0:1, nice to know when doing the ignition timing. 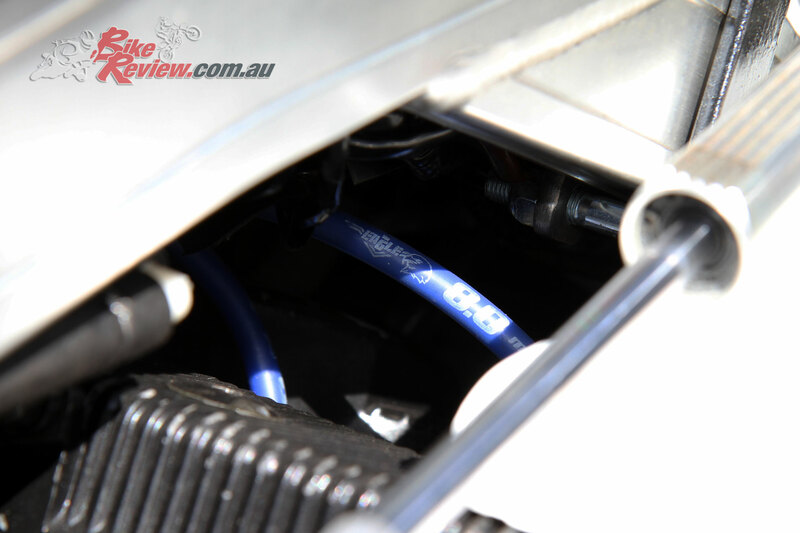 Apart from some jetting changes and the decision to fit velocity stacks over pod filters the engine is performing faultlessly, the stock cam chain tensioner did need some attention recently and has been replaced with an A.P.E. item. As things happen, I missed the Island Classic and the International Festival of Speed in 2017, due to a combination of the repairs and some injuries to myself prior to InterFoS. 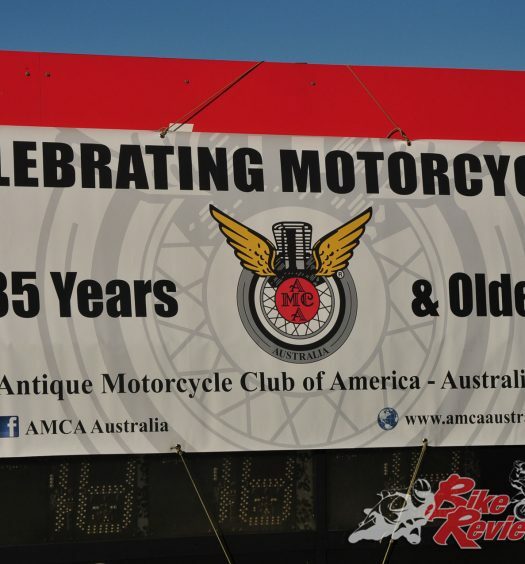 I did however do the Australian Historic titles in November 2017 at Wakefield Park. 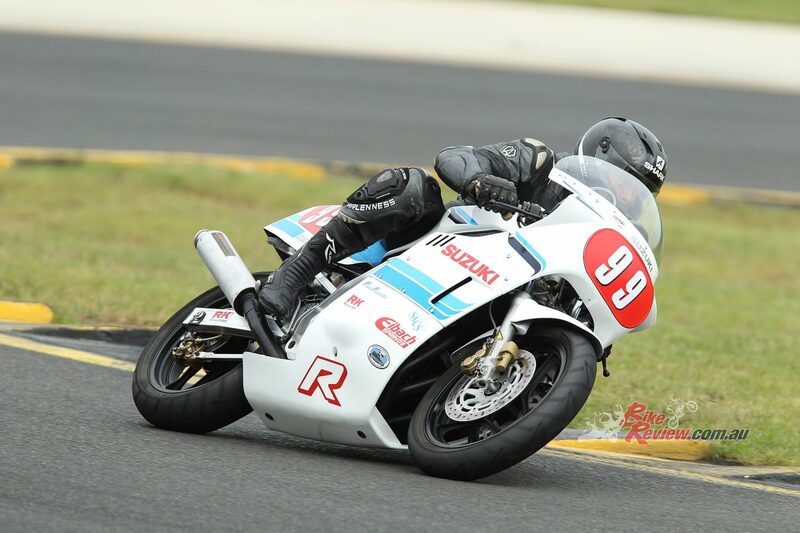 I managed top five finishes over the weekend and thoroughly enjoyed my return to classic racing. 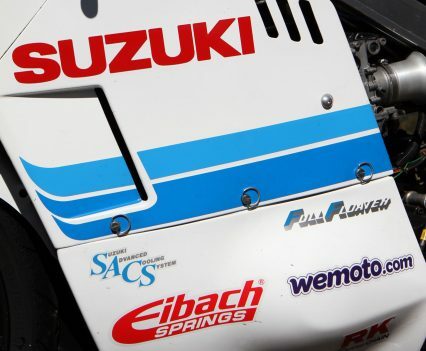 I’ll probably only do selected races with the bike, I’m not that interested in a series of races like the PCRA puts on, I’m just out to do races I want to and have fun riding a bike I’ve loved for over 30 years. 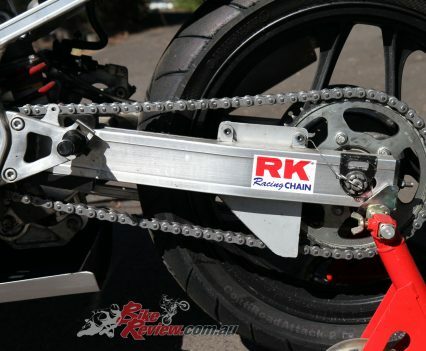 It’s very quick and handles fantastic by even modern standards and easily keeps up with modern bikes at track days. A real blast from the past and it makes me feel 20 again. 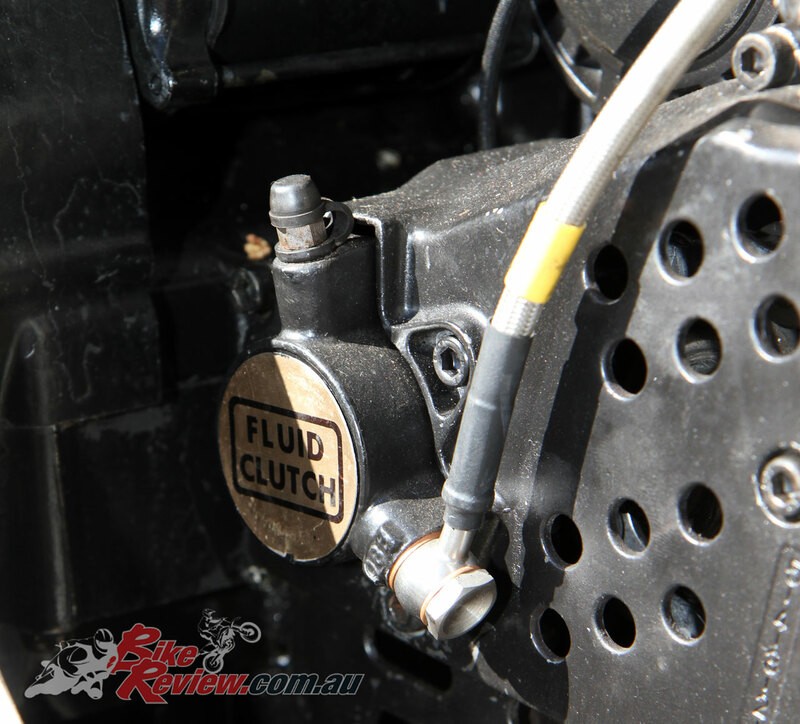 ENGINE: Oil-cooled, four-cylinder four-stroke, 1100cc, 74 x 57.8mm bore x stroke, four-valves per cylinder, DOHC, five-speed gearbox, A.P.E. 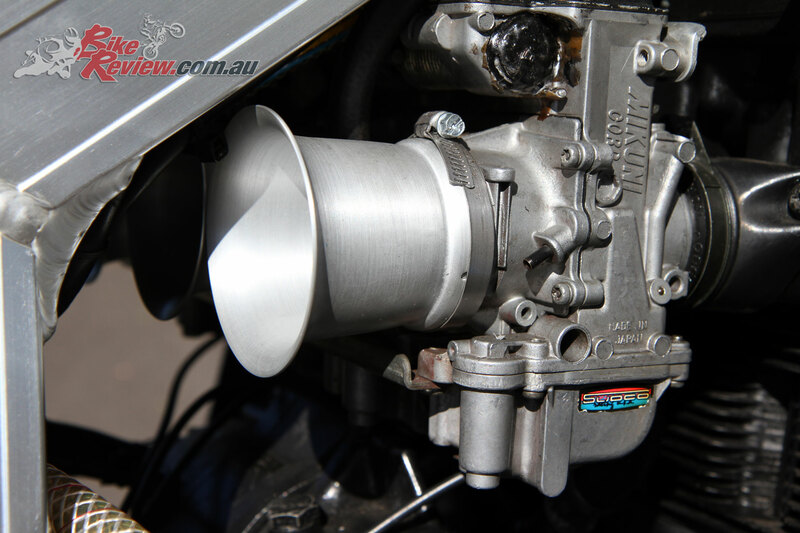 clutch basket, 40mm Mikuni carburettors, Yoshimura race exhaust, Dyna 2000 ignition, ported and flowed cylinder head, high comp pistons. 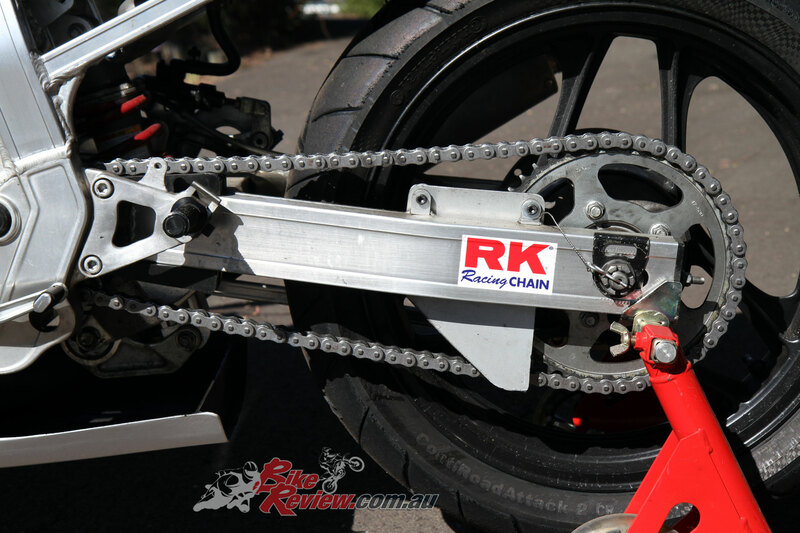 CHASSIS: Alloy box section perimeter frame, alloy box section swing arm, stock GSX-R1100 forks with modified internals, electronic anti dive disconnected, modified GSX-R750 rear shock, stock wheels 2.75 x18in (front) and 4.00 x 18in (rear), stock calipers with braided lines and EBC rotors and race pads. 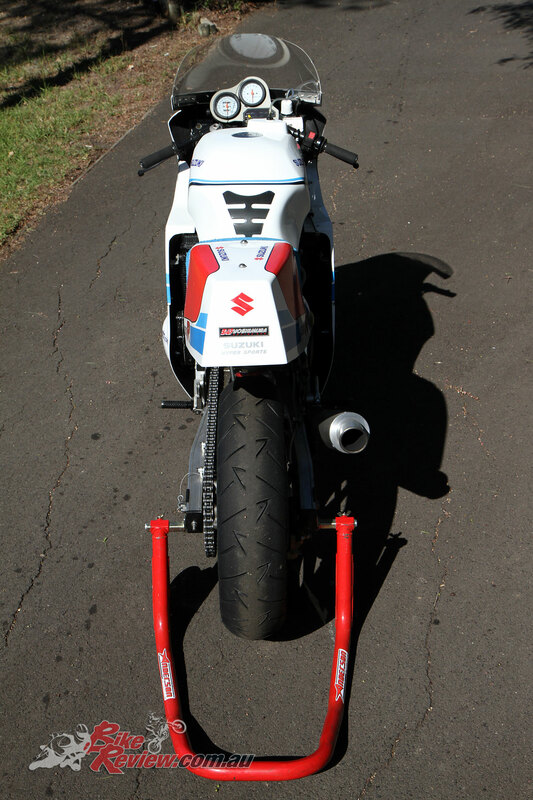 One off body work based on 87 GSXR 1100 F1 styling. 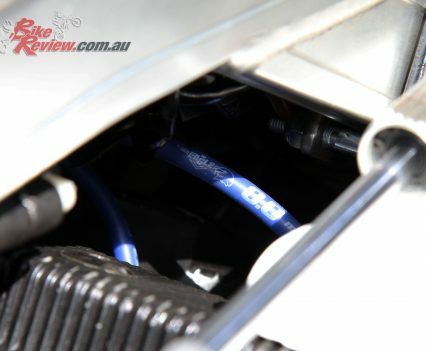 50% larger oil cooler for engine. 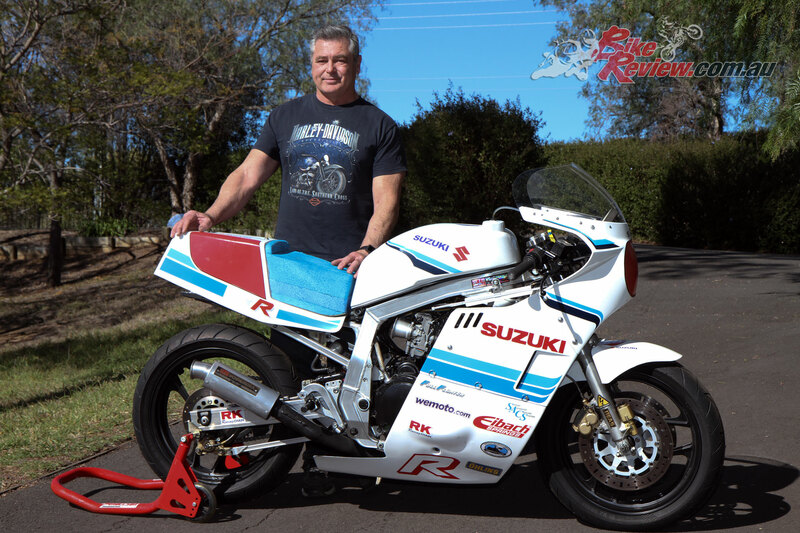 Paul Bailey is a long time freelance motorcycle contributor, road and flat track racer and well respected industry personality and enthusiast. We just call him Mr Motorcycle. nice bike and very impressive storry. 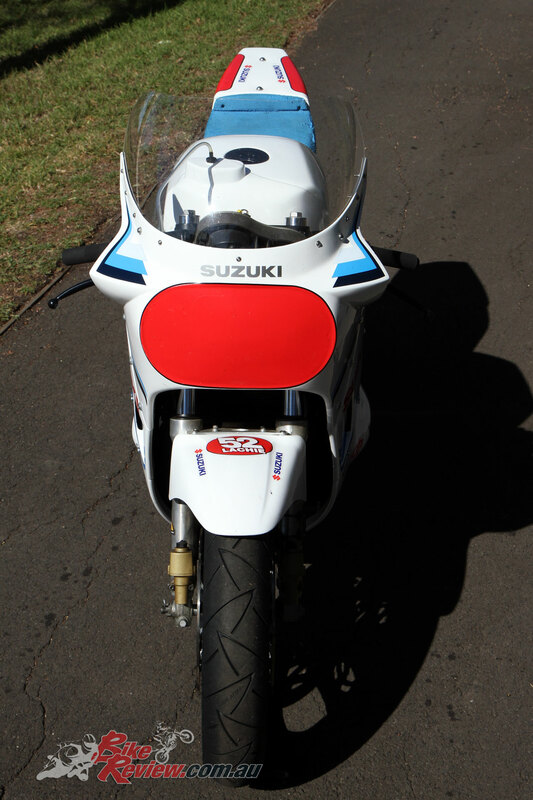 I owne a 1986 GSXR 1100, the same as I have bought in 1986 as a new one. Now I payed nearly the same price as I have got 30 Years bevore, as I sold the bike. I am interrested on the changes on the fork you haye done. Could I get some detailed information please? 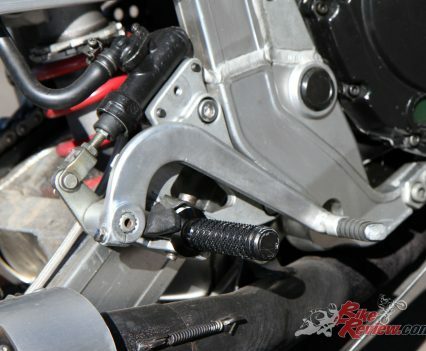 Does the brakes worke realy well with the stock pump and calipers? 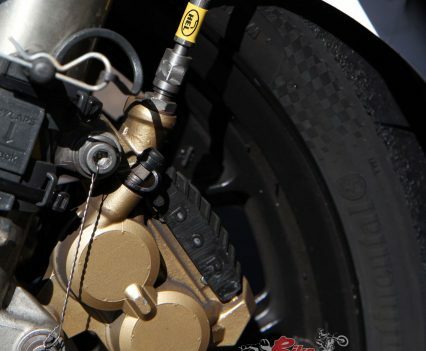 My brake feels very weak, though I have replaced the hoses, the pistons from the calipers and from the pump and of course the brakepades as well. 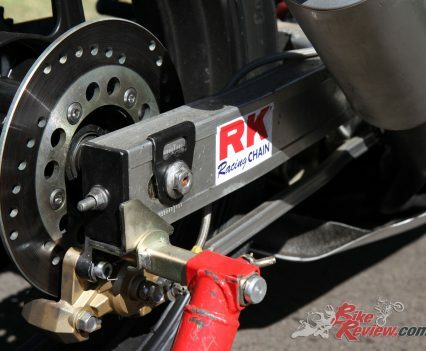 The rotors are stock-types, why did you replace the rotors, were the worn, or were there other reasons?